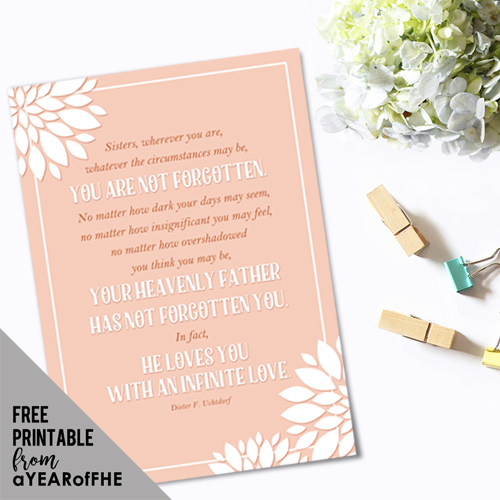 I was so inspired by the recent Relief Society Conference. President Uchtdorf always inspires me and his talk was wonderful, as always. I decided to offer up a free printable with a quote from his talk. It is sized at 5X7". Enjoy! CLICK HERE to read, listen or watch online. I love you!!!!! SEriously we've been using your site for months now, and I think being pregnant, I wouldn't do anything for FHE if it weren't for you and your already put together lessons! I LOVE YOU!!!! !